This is probably my most popular pop-up cards. It just takes time to do all the sewing and gluing. I’ve sped most of the video up so you may need to pause it a few times or watch some parts over to get what I’m doing. It’s not as hard as it looks. You just need a little patience to put everything together. It will all be worth it in the end when you give this card to someone you really care about. Here’s the video of Valentine’s Day Pop-up Card: 3D Heart Detailed Tutorial. Cut out all the pieces making sure that you cut all the slots very precisely. If the slots aren’t deep enough, you heart will be warped and wont fold flat. Put the 5 threads through the 5 holes in the white card backing, starting with the center thread. Use tape to hold the thread in place so that it doesn’t slip out accidentally. To pass the thread through the holes, you can use a needle, needle threader, tweezers, thin wire or floss threader (not shown). I’m using black thread in these next few pictures so that you can see it easier. If you don’t have these items, you can just make the holes larger and pass the thread directly through. I prefer to use a needle threader. I hope you all enjoyed making 3D Heart Valentine’s Day Pop-up Card. Good luck! This pop-up card can be used for Valentine’s day, or for a birthday for a special person. This Valentine’s Day Pop-up card will surely impress the person you give it to. The heart is a sliceform design. 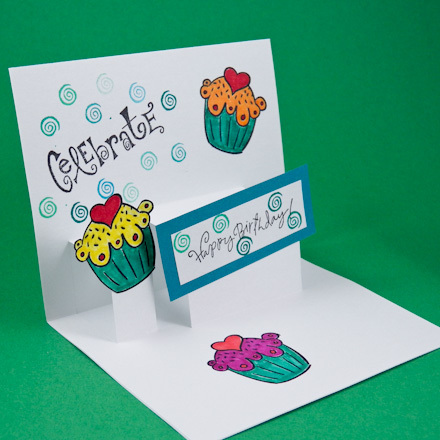 This flower valentine’s day pop-up card greeting card makes for a special flower delivery. A flat card blooms into a three-dimensional arrangement that’s much more unexpected than a vase of roses. It looks intricate but takes only some snippets of paper and cleverly placed tape to create. This project may seem complicated at first glance, but once you follow the instructions here, you’ll realize just how easy it is to re-create. With valentines next month, we thought we would share AOC Craft instruction Valentine Day Pop-up Card and free pattern download with you. It is easy to do and has a stunning result. A nice craft project for your kids to do for their secret crush! This pop-up card features a boy and girl in the center of the card, surrounded by a bouquet of flowers. As you open the card, the boy and girl move toward each other and kiss. This is a very cute card because it actually moves as you open it, which makes it a very unique and impressive card. It’s always been one of my favorite cards to make. Valentine’s day is the perfect time to get out your craft kit and make something beautiful so I was super excited to create a unique Valentine day Pop-up Card project just for you. I wanted to make a creative Valentine’s day card. But I couldn’t come up with any ideas until a little lightbulb came on in my head while I was looking at all the beautiful colors. Then I ended up making a sort of Love card. Here is a close-up of of my shaker window. Those sequin scatters in sweet colors absolutely make me happy! 🙂 I’m not sure you could see in the photo, but I added some shades of red behind the shaker window to look like something was boiling up from the bottom. Create a shape of beaker using partial die-cutting technique. Cut out the bottom of beaker using kraft knife. Blend in a couple of colors on a piece of white cardstock using a blending tool and Distress Inks. Stamp the cluster of hearts. Cut a piece of acetate and glue it to the back of the beaker window. Then place the beaker panel over the inked background using foam tape. Make a sentient banner and adhere it on the card front using foam tape. I love how my Valentine’s Day Card turned out. So fun and delightful! 🙂 What do you think? Hope you all enjoyed my card and got some inspiration to make your own shaker card. This time I wanted to create a little show stopper that would be really fun to make – I think this pop-up card does just that! The pop-up heart balloons and bunting make this a striking card to look at yet it’s really very simple to create at home. You can even make the matching polka dot lined envelope. You will find a link to the printable templates below for the two-sided cards and envelope then you just need to follow the tutorial. These are ready to download pattern. It has 3 pages A3 in the PDF. For a project like this where there is a lot of ink, I prefer to use a laser printer. You can find this service at FedEx Office or other office supply stores. 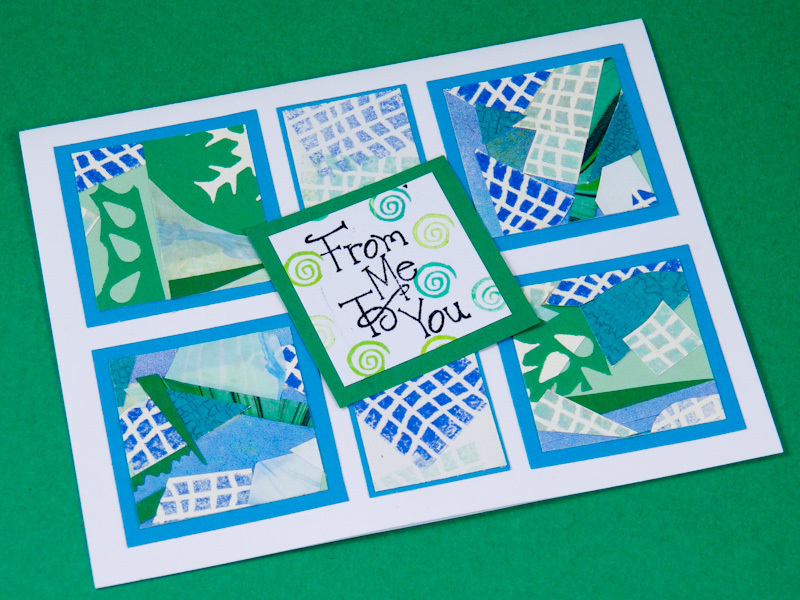 You will want to print the two layers of the card on a card stock. The front image is just one sided where the second layer is brown craft on one side and the pink polka dot on the other. 1. You will need download pattern and printables, scissors, craft knife, glue gun, ruler and twine. 2. Trim and score the flaps of your envelope using your scissors and a ruler. 3. Fold the left, right and bottom flaps in towards each other and glue together. 4. Trim the back and front of your card, the two balloon hearts and the bunting letters. 5. Using your craft knife, cut around the top outline of each cloud and around each balloon leaving a 1 inch hinge at the left edge of the pink heart and the right edge of the red heart. Bend them all out a little so that they “pop-up”. 6. Cut out your second pink and red heart and score down the middle with your ruler and scissors. 7. Glue your little “hugs” letters to a length of twine to create the bunting. Glue either end to the bottom of each heart balloon. 8. Glue along the fold of your second pink and red hearts and stick them in place on your card. 9. Glue the polka dot backing onto the card. This flower valentine day pop-up card greeting card makes for a special flower delivery. A flat card blooms into a three-dimensional arrangement that’s much more unexpected than a vase of roses. It looks intricate but takes only some snippets of paper and cleverly placed tape to create. Cut seven 4-inch squares of paper in desired colors. Fold a square into quarters. Fold down 1 flap diagonally; flip the square of paper over and fold down the other flap, forming a triangle as shown. Print petal template; trace it onto the triangle, and cut out. Unfold, and cut 1 petal from flower; close gap by overlapping petals on either side and securing with glue stick. Attach pieces of double-sided tape to petals, as indicated by dots. Flowers B and C each overlap a petal with A; then flower D goes on top, completely overlapping A. Attach G to the top, overlapping D.
Cut out some freehand leaves from green paper, place double-sided tape on the bottom, and attach them to the flowers. 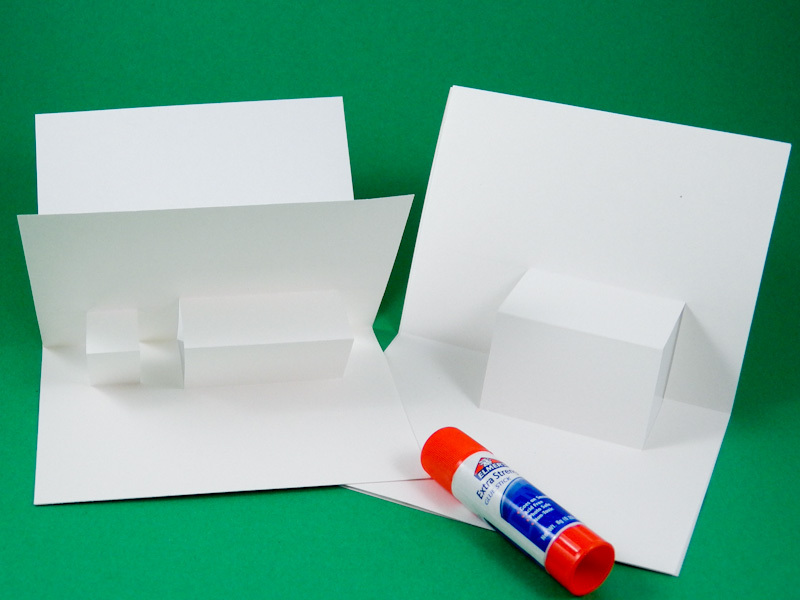 Cut a piece of card stock into a 10-by-6-inch rectangle, and fold in half to form a card. Place the folded flower stack inside of the opened card as shown. Place a piece of double-sided tape as shown; close card, and press firmly to adhere. Open card and repeat, attaching the other side of the flower stack to the inside of the card. Do you have comments about with us? A stunning hand crafted valentine day pop-up card! Hi all! We guide to making the Valentine Day Pop-up Card Kissing Couple. Here is an animation of the pop up card. You have to see the card in action to appreciate the moving pieces. You need download pattern, then print out the pattern on color paper. Use the pattern to cut out all the parts out of card stock. Fold the “boy” and “girl” at the dotted lines and insert the bottom tabs into the slots in the inside card as shown in image 1 above. Fold the “bouquet” of hearts at the dotted lines. Note that there are two sets of tabs at the bottom or inside of the piece. Look for the smaller, connected tab as shown in image 2 and insert it in the inside card in front of the couple. Image 3 shows what the smaller tab looks like after it is inserted into the inside card. Insert the larger tabs into the opposite slot. The tabs are separate so you will need to carefully push them together, in order to fit them in the slot. Fold the inside card down the center. Tape the tabs down as shown in image 4. At the ends of the “bouquet” of hearts, fold the hearts down the center along the dotted lines and slot the two hearts together as shown in image 5. Make sure that the heart halves are on the inside of the ring. You can glue these heart tabs down if you like. Insert the corners of the inside card into the outside card as shown in image 6. Image 7 shows the card fully assembled with all corners of the inside card inserted into the outside card. Finally, glue the extra hearts around the “bouquet” of hearts as shown in image 8. You can alternate from solid and outlined hearts. Then you can glue the “Happy Valentine’s Day” text at the top of the card. Open and close the card to make sure the couples kiss in the center. You can adjust each person by bending them slightly forward or backward so that their heads/lips meet in the center. Please leave a comment below if you enjoyed this tutorial on how to make the Valentine Day Pop-up Card Kissing Couple. A long time ago, I pinned this beautiful cake I’d come across by Sarah at Signe Sugar. I loved it so much, it inspired me to create this paper banner version. I had no idea how to go about it, so I just jumped into cutting, bending and gluing. Once I got the hang of it, it came together pretty quickly. And, if you mess up, it’s just paper – – so just cut another piece and keep moving forward! Step 1: Begin by cutting several strips of 8″ x 3″ paper. To create tall, narrow letters, keep the inside pieces small. For example, for the “H,” begin with two 8″ x 3″ strips, and cut a 2″ x 3″ piece for the inside center piece. Step 2: Draw a line of glue on the 3″ side of the small center piece. Step 3: Attach it at a 90 degree angle to one 8″ x 3″ piece, about 2″ down from the top. Hold for a few seconds until the glue sets. Step 4: Draw a thin line of glue on the top of the 3″ center piece, and gently attach another 8″ x 3″ strip, matching the first 8″ x 3″ strip. Continue in this way for the H, A, Y, I, T, H, A, and Y. Step 5: For letters that have curves, begin with your 8″ x 3″ strip. For the “P,” take a second strip approx. 7″ x 3″ and, with your bone folder, gently score a crease 1/2″ from the top. Fold gently 90 degrees. Flip this strip over and score 1/2″ down from the other end. Step 6: Apply glue to the top of the creased strip. Step 7: Glue the creased strip to the outside top of the flat 8″ x 3″ strip. Step 8: Apply glue to the inside of the second creased 1/2″ fold. Gently bend the “P” shape and attach to the 8″ x 3″ strip about 3 1/2″ inches from the top of the letter. Press and hold for a few seconds. Continue in this way with the B, R, and D.
Step 9: Punch holes 1/2″ down from the FRONT top of each letter, on both left and right sides of the letter. Step 10: Punch holes 1/2″ down from the BACK top of each letter, on both left and right sides of the letter. Step 11: Line up your letters and thread string through each FRONT top hole of every letter. Step 12: Thread string through each BACK top hole of every letter. Step 13: Carefully hang the banner, adjusting the letters and the string to get the right tension and placement of the letters. Enjoy! On New Year’s Day, a holiday of people who are in love, everyone gives greeting card to each other. This day is a good opportunity to show your feelings with an unusual gift. We’ll guide make greeting card for this holiday of love. Our website supply information about the cutting art, wood or paper cutting, free patterns or tutorials for DIY wood/paper cutting. Another new year is around the corner. So it’s best to start working on that new year greeting card project sooner than later. Either way, this time, wouldn’t you like to set off the coming year by putting together a cool and creative card? If so, then, for this card, use the Spirelli string art technique. Yes, it’s possible to sew a little with this technique, However, there’s no sewing on this card. Apart from this, there are different colors and types of threads used in putting this new year greeting card together. Which colors and types would you use in creating yours? Have a Happy Sparkly New Year! 1. On the 5.5” x 8.5” black cardstock paper, use a pencil and circle template to draw a 2” diameter circle. 3. Use the zigzag decorative edge scissors to cut out these five circles. 4. Erase the pencil marks on these circles. Or use these pencil marked sides as the bottom faces. 5. On the 2” diameter circle, use the multicolored metallic thread to wrap around the grooves of the zigzag cuts. After the first turn, go through another turn but this time with a different offset. 6. On the first 1.5” diameter circle, use the multicolored metallic thread to wrap around the grooves of the zigzag cuts as well. 7. On the second 1.5” diameter circles, first, use the metallic gold thread around on the circle grooves. Then use the metallic copper thread at a different offset. 8. On the third 1.5” diameter circles, first, use the light blue rayon thread around on the circle grooves. Then use the light green rayon thread at a different offset. 9. On the last 1.5” diameter circles, first, use the pink rayon thread around on the circle grooves. Then use the red rayon copper thread at a different offset. 10. Put all the circles in place just to know their approximate locations on the 4” x 6” black cardstock paper. Don’t glue them down yet. 11.On this same cardstock, write “Happy New Year!” with white pen on the bottom right corner. 12. Use the gold pen to trace out a square-like pattern that looks like square rooftops at a distant horizon. Draw this just above the white lettering. 13. Use the gold pen to randomly trace out the fireworks path from the distant roof top horizon to the circle locations. 15. Glue the completed 4” x 6” black cardstock right in the middle of the folded maroon cardstock. This leaves a ¼” margin all around the black cardstock paper. Glue all the circles in place on the black cardstock. The biggest circle shifts out about 3/16” from the edge of the black cardstock. And the other circles shift out ⅛” from the edges as well. Glue the acrylic jewels at the center of the finished circles. Use the biggest jewel for the biggest circle. And with that last step, the card is finished. Hope you’ve decided on the colors and types of thread to use in creating your own new year greeting card. From the pictures above, there were a few other metallic strings that did not make it into the card. They include silver and yellow gold colored metallic thread spools. Apart from these, there are many more options in the craft and sewing stores. So the choice is yours. Have fun with the hunt and decision. And, at the end of the day, may you have a new year that’s as fun and vibrant as this new year greeting card depicts. This pop-up card can be used for Valentine’s day, or for a birthday for a special person. This pop-up card will surely impress the person you give it to. The heart is a sliceform design. You’ll need two card blanks of the same size for the card face and the pop up card mechanism. The pop up card mechanism is made separately and is glued inside the card face. It’s best to use card blanks of the same color to camouflage the pop up mechanism somewhat. To make stamped pop up elements you will need white cardstock and colored cardstock for mats. 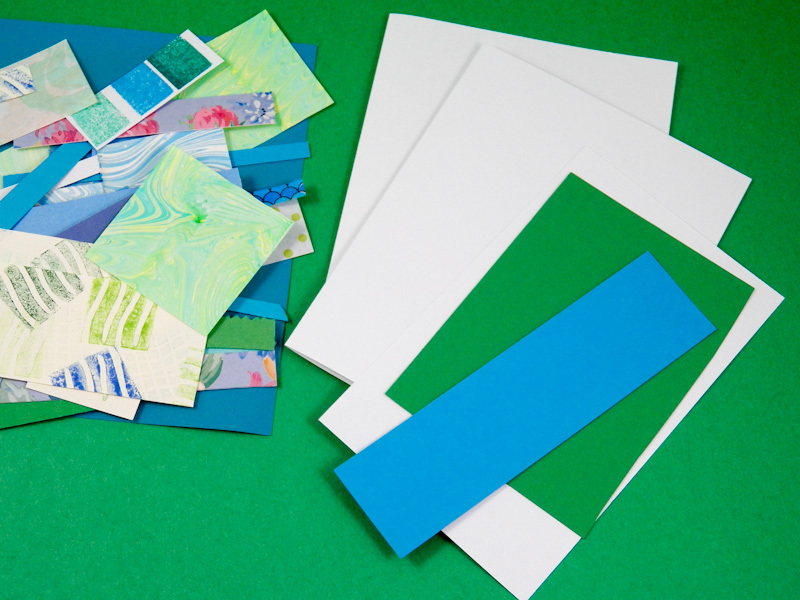 Gather a variety of paper and cardstock that coordinate with the colors used in your card. Use one of the card blanks to make the card face. The card face can be made using any technique you like; however, it is important that the card have a horizontal aspect to make the most effective use of the step pop up. Set aside the completed card face while you make the pop up. 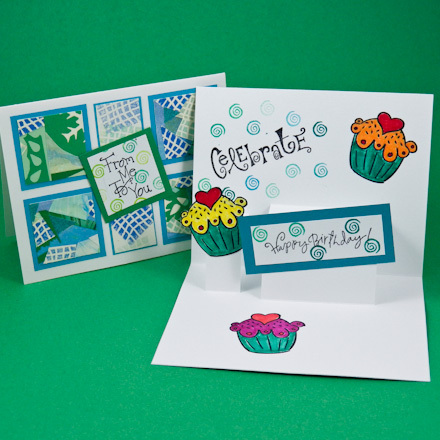 The sample birthday card features serendipity squares that make good use of your paper scraps. pop up elements are glued to the pop up steps/platforms. Anything that is flat and will fit inside the folded card can be used. For the sample card, a stamped, matted message card and a stamped cutout are used. Your matted message card should be about 1¼” to 1½” by 3¼” to 3½”. The cutout can be up to about 2″ square. 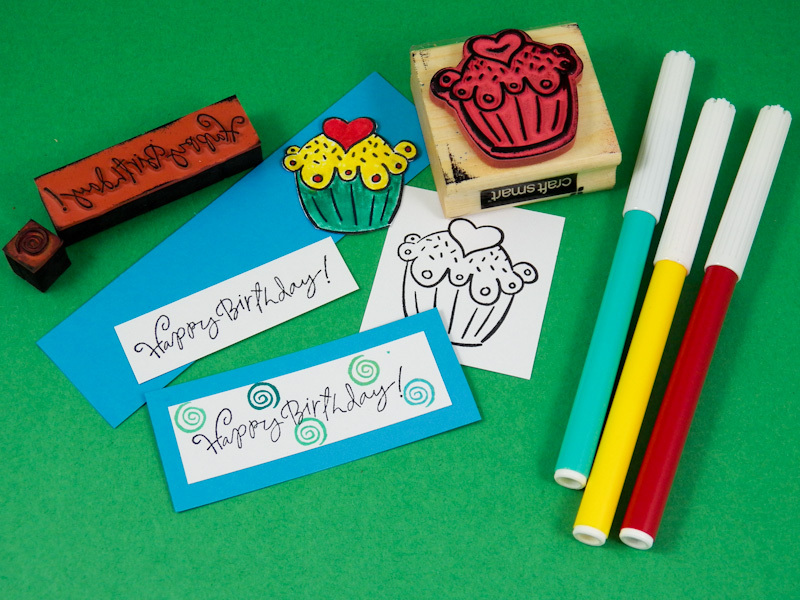 Use felt-tip markers to color the stamped image and tiny rubber stamps to decorate the message card. Use the second folded card blank to make the pop up mechanism. 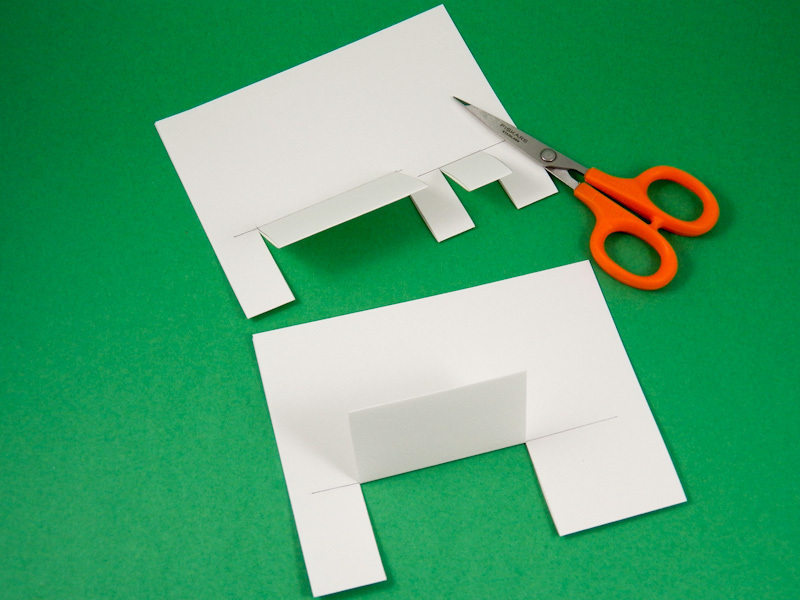 To form the pop up steps/platforms, you will cut parallel slits from the folded edge of the card blank. First, use the pencil and ruler to draw a line 1½” from the folded edge and parallel to it. Next, draw two vertical lines from the first line to the folded edge—they should be about 2½” apart and parallel to each other. The left line should be about ¾” from the left edge of the card blank. About ¾” to the right of the first step, draw a second step. Draw a line 1¼” from the fold with vertical parallel lines that are ¾” apart. For a simpler pop up, only make the first step. It can be drawn anywhere along the fold, but no closer than ¾” from either side. Skip the measuring by using templates. See the side bar to the right for details. Cut on the vertical lines from the folded edge to the drawn horizontal line. Fold the cut steps on the horizontal line between the cut lines. Unfold. Open the card blank and push the steps through to the other side. 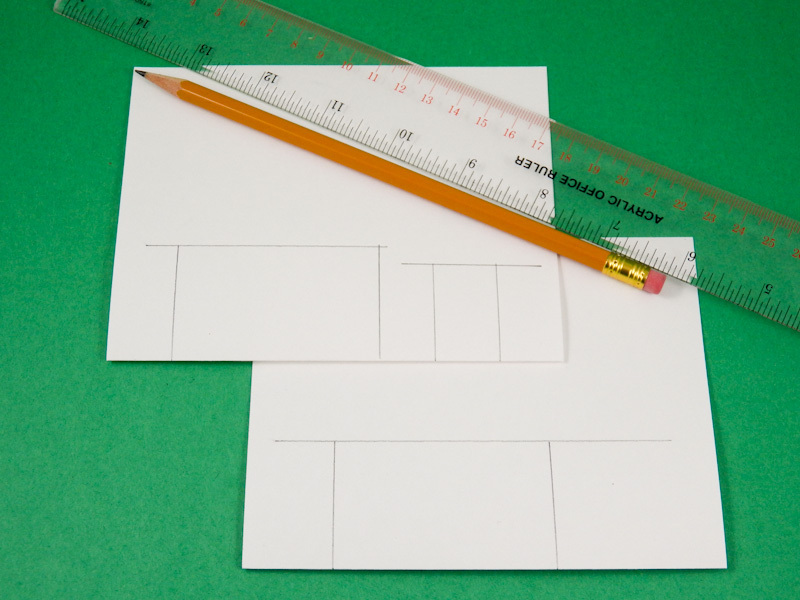 With the pencil lines on the outside, fold the card blank at a 90° angle. You will be gluing the pop up elements to these steps/platforms. Test your pop up mechanism by making sure it folds flat. Also, use repositionable tape or glue to attach the pop up elements to the pop up steps. 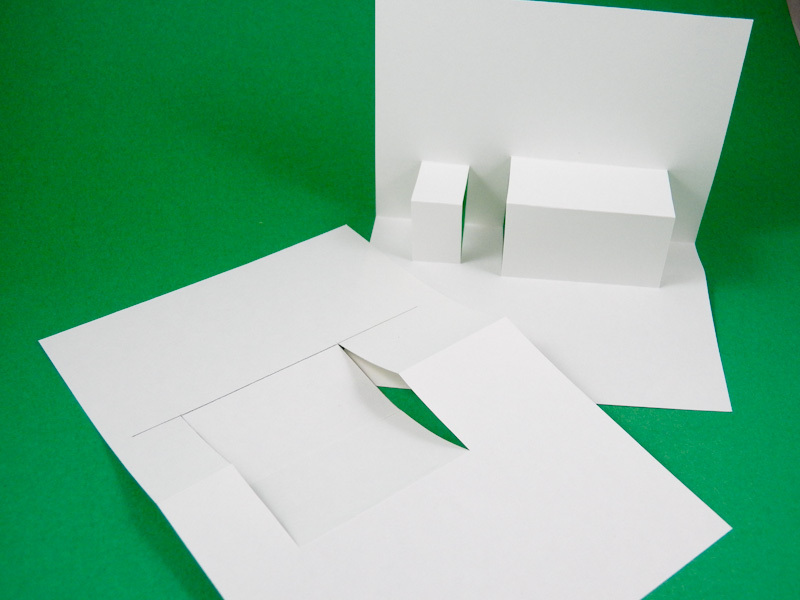 Fold the pop up flat and make sure the pop up elements do not extend beyond the edges of the folded card. Make any adjustments needed before proceeding. Glue the pop up mechanism inside the card face, being sure to align the edges. 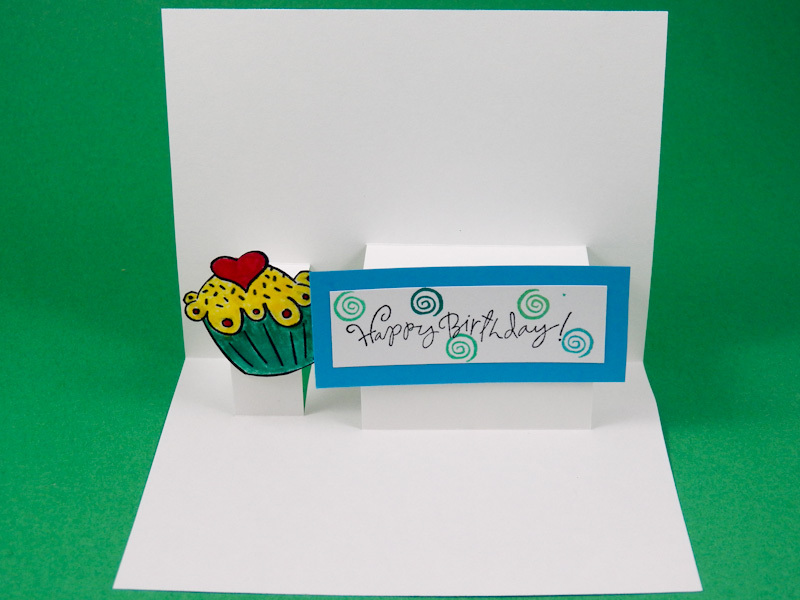 Apply glue to one side of the pop up, avoiding the step, and slip it inside the card face. Apply glue to the other side and fold the card face over onto it. Open the card and allow the glue to dry. Glue the pop up elements to the steps. Decorate the card behind and around the pop up steps. You might stamp more images of the cutout, add a greeting or write a message. Use your imagination! That’s it! Your pop up card is done! However it has planted a seed of craziness as now I want to turn every boring household object into a simple wall clock. I’ll try and refrain. This is a very rare occasion where I got our power drill out but not without my husband’s supervision mind. Me being left alone with power tools would be asking for trouble when I could probably wound myself in a padded cell. Please do take a moment to appreciate my creepy double jointed thumb in the image below. Measure and mark the centre point point on your wooden chopping board with your pencil and ruler. Consider a stable surface to drill on where you will able to go all the way through. I laid the chopping board on two of our flat chairs with a gap in between. Drill the centre point the whole way through, holding steady. Cut a strip of the black leather to the length you want. Try holding it on the chopping board to see how long you need it. Trim the edges neatly and then make a hole in either end using the leather punch. Make sure the punch size fits the brass screws that will eventually go in. Then mark on the chopping board edge, where you want each screw to be fixed. I did this halfway on either side. At this stage use your drill again, with a smaller drill bit just to ever so slightly drill these points. This will give a small dip for your screws, making it much easier for them to go in. Place one leather end over the drilled dip, place your screw in and twist with a screw driver until the screw is flush to the leather (leather secure between the wood and the screw). Repeat on the other side. Thread your clock mechanism through the central hole in the chopping board and follow the instructions you received to put it all together with the hands. There will usually be a washer you need to tighten to stop it all coming apart. Get yourself a battery and hang your clock in pride of place! All those tools might sound a little intimidating but if I can do it, you guys definitely can! It’s simple, chic and will be a welcome addition to any room. I’m so looking forward to sharing another affordable home tip with you tomorrow! Depending how you get your movement you might need a screwdriver. 1. Choose your record. I chose records that had colourful branding because they would be the only colour and detail on my wall clock. You will need an old LP, a clock movement with hands. 2. If you wanted to add detail to the LP/clock face, numbers, dots or dashes, you would add them to the face before you add the movement. I liked the face of the record plain so I skipped straight to the next step. 3. Find a clock movement. You can buy these from craft stores or you can pick up secondhand clocks and use their movements. They are usually pretty easy to access. The movement slips through the hole in the middle of the LP. 4. If your movement doesn’t come with hands you’ll need to find some you like, or if you’re super keen make your own. They are sized to fit over different levels over the movement. 5. Since the records already have a hole right in the centre it was super easy to slip the movement through. It was a squeeze but with some twisting it slipped through and sat about a centimetre off the LP. Make sure the movement is secure and working. 6. The hands I had came with the movement so they looped right over the top. I tested the hands to make sure they moved freely without knocking each other or touching the record face and had to bend some of them to give them room. 7. Once the hands are secured you can add your battery and watch it tick! Check that everything works by watching a complete cycle. Secure the hands, add your battery an set the time. 8. There were no hooks on my movement but there is space to add one or you can stick some heavy duty removable tape to the back and hang it that way. The LPs do attract dust but they are easy enough to clean. If you want a smaller unique wall clock try an old 45 or CD.